At CES 2012 this year, we had our first look at a case that NZXT. has been working on for a while now. 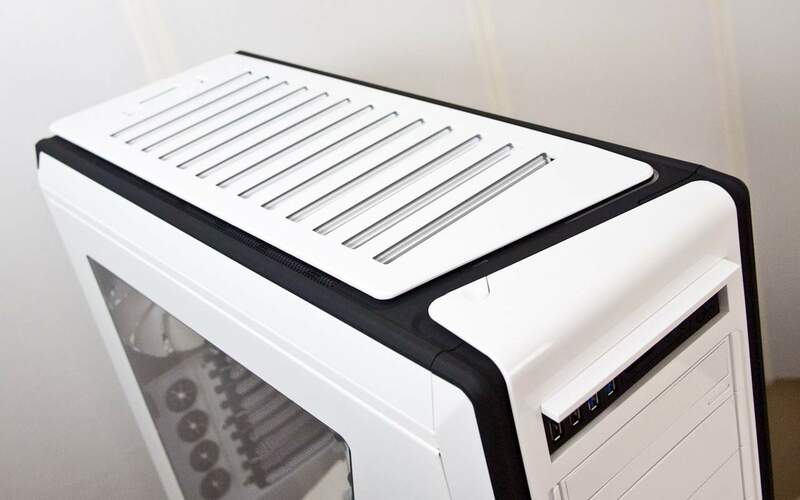 The reason it's taken so long is because this new case would have to take over the top of the range from the extremely popular Phantom; a case that really catapulted the company into the limelight with its striking looks, great color choices, and excellent cooling performance. The new Switch 810 takes the cooling performance to a whole new level and has features that appeal to air coolers as well as extreme water cooling enthusiasts. There are also provisions to assist silent PC enthusiasts in building a quiet, yet high performance, gaming system. 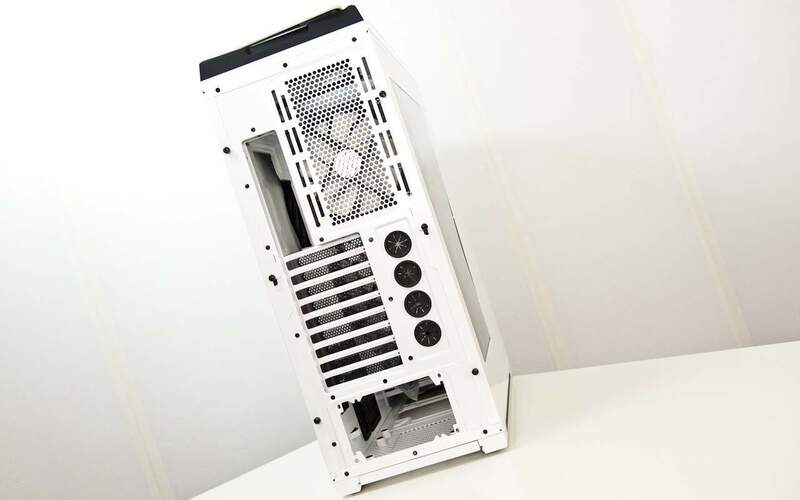 For these reasons, NZXT has called this a "Hybrid Chassis" and you'll have a good look at it in the video above or you can catch it on YouTube. It's very easy to tell if a design team has actually used a product as intended and NZXT's design team definitely went that extra mile with the Switch 810. As I mentioned in the video, one of my favourite features of this case is the LED lit IO panel area and PCI slot area. This addresses an issue that every computer user has had, which is finding their way around there in complete darkness. By adding two tiny LEDs to these areas, it addresses an age old problem and really shows a level of thoughtfulness that other manufacturers can't claim because they don't have this feature! Another really thoughtful touch on this chassis is the ability to use one of two fan sizes for every major slot in this case. This allows users to select from any 120mm or 140mm fan on the market. Since 140mm fans are more rare, and since there are so many great 120mm options on the market, NZXT made it possible for you to use both. Speaking of fans, all the intakes are covered with filters which are very easily removable for cleaning. About the only thing I really disliked about the Switch 810 was the top shutter vent. It just felt cheap and flimsy to me and I have already broken one of the tabs that keeps it on the case. 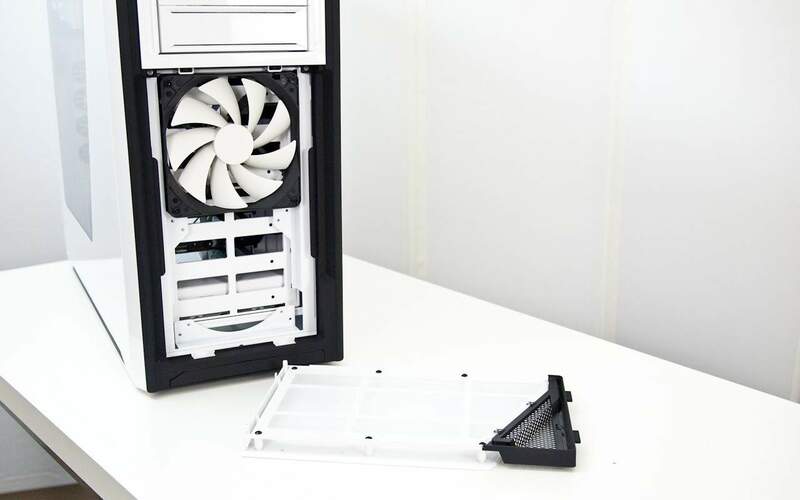 Since it is a modular part, I'd love to see NZXT do a redesign on this part to make it as good as the rest of the case. It's definitely both a good and bad point of this case. Yes, it does work. But it can definitely be built a bit better. Those are just some of the highlights that I wanted to make sure you were aware of while we get ready to throw a system into this case and get our full review on. Hopefully it'll still be great after the honeymoon period wears off. But if you're already sold on it, then go for it. It's really hard to fault a case with this many great features and potential at $169US. Stay tuned for our final thoughts and our conclusions a little later on. In the meantime, keep an eye on our YouTube Channel for more great videos! Help Us Improve Our Previews By Leaving a Comment Below!